Offizielle Fanpage der Night of the Proms 2019: Wer kommt zur NOTP 2019? In den Niederlanden war der Teufel los. Nach Cyndi Lauper, Seal und UB40 konnten die Holländer den nächsten MEGA ACT begrüßen. 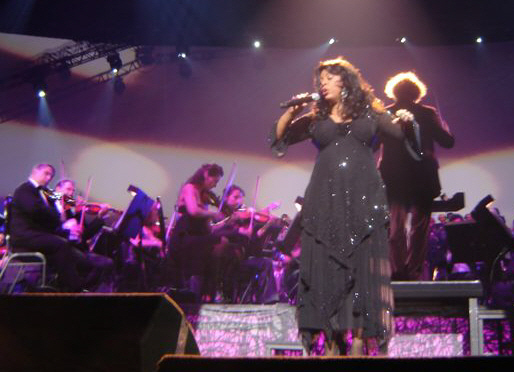 Donna Summer wurde in Rotterdam und Arnheim zur DIVA der Proms gekürt. Zudem gab es kräftigen Rock von der jungen Band Di-Rect. +++ In general I was very positively surprised about the pop singers. 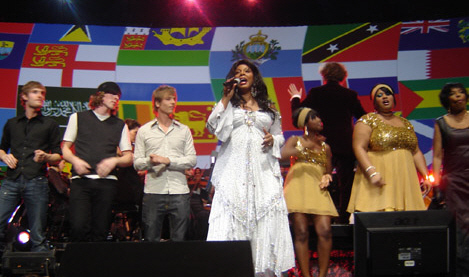 At first I just wanted to see and hear Donna Summer, as I was very impressed about her perfomance at the Belgium Proms in 2005, which I'd known from television and CD. But the other artists were very impressive as well! Kid Creole & The Coconuts were the lesser part of the show in my opinion, but when taking into account that they were booked at last resort, they were still reasonably good! The organization took a chance to rejuvenate the Proms in Holland this year, with Macy Grace and especially with Dutch Rock (Boy)band Di-Rect. These are not part of my regular musical taste, but they at times took my breath away with their performances. Both made a perfect show and the guitar rock sounded brilliantly together with Il Novecento! 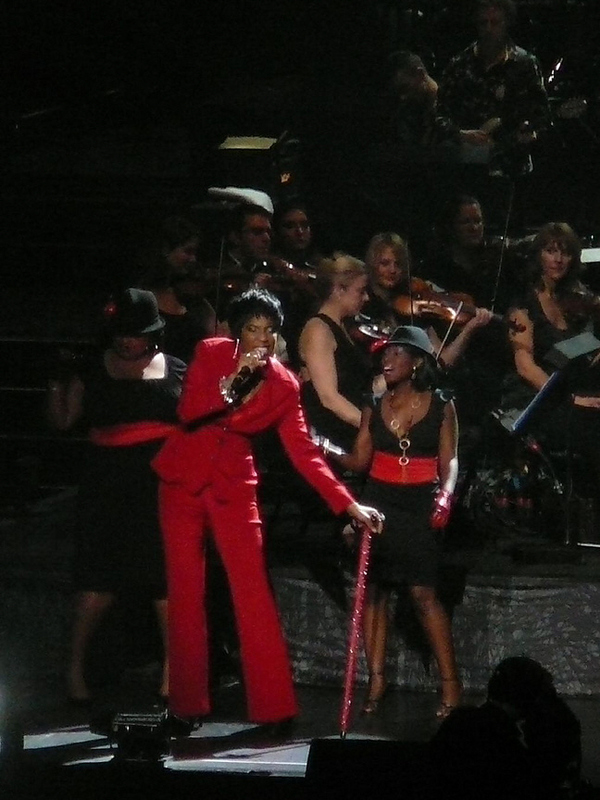 Also very impressive was Macy Gray's duet with violonist Roby (Wow, that man can fiddle!!!) Lakatos - Sexual Revolution - and the perfectly produced duet with the late James Brown on the big screen. --- Unfortunately, apart from Prokovief's Romeo&Juliet and the Preludes by Liszt, I 'm far less impressed by the 'classical' bits in this year's show. I must admit that the specially written Overture, Roby Lakatos and the Pirates of the Carribeans (especially as it was accompanied by the enormous projection of fragments from the real movies) were very good too, but in general these parts were either cut in pieces and hussled together in some sort of medley's (there were 5 or 6 of them!) or -sorry orchestra/Robert Groslot- played whithout spirit, e.g. Schindler's List. And what was Mozart doing in a Barok medley? Why walzes again? During the second half of the show the classical part was minimal. After 20 minutes came the Preludes and after that only one more performance from Roby Lakatos and at the end Elgar's Land of H&G... Half of the instrumental parts aren't even classical, but consist of evergreens or soundtracks. I personally love filmmusic, and I agree that boundaries between musical styles can be set wider. But also I think that there could be made more effort on a good representation of the classical music on the Proms. That's really were it all started with, isn't it. I read somewhere on the official forum that there should more be taken example of the original Proms, and I wholeheartedly agree! I hope Dirk will read this and take my point. One more point I would like to make: the projections were at times beautiful, but the light show was far less festive than before, in my opinion. I would have liked some more 'disco' light, especially as such a large part of the music was dance music, but it didn't help a lot to make the people move much, I thought. After this it might seem that I didn't enjoy the night, which is absolutely not true! I found it a very nice show, as far as the artists and the big screen concerned I was masterly amused. I 'm just worried about the 'roots' of the Proms that always made it so interesting for me: Classic(!) meets Pop!!! "Di-Rect is pretty good for the public, First it's a slow song that is well appriciated, the second song is hard rock, reminds me a bit of Metallica with the orchestra, but still, I think it's good. And the third song is again a slow, so also well appriciated by the public. "Some classical pieces played by the orchestra, then kid creole & the coconuts (to get a little in the mood) further some macy gray, john miles, direct (young all male dutch pop-rock band). in between more classical peaces by the orchestra. i'm inpatient, the wait seems soooo long ! finally the intro of MacArthur park !!!!! Donna rises up out of the stage, and starts singing, oh that powerful voice. she's wearing black trousers with a black glittering blouse. she's enjoying herself. the orchestra plays the music amazingly well. a great combination. the "there'll be another song for me" part is included. when the song ends she starts talking a bit. oh what a fun surprise....she says in (good) dutch : "good evening everybody, it is so good to be here with you" ooh the crowd goes wild !!! Donnas sings most of the song, a few lines by the other artists... is it me or did she look slightly disapproving when 2 backing vocalists sang a few lines?? luckily for us, Donna sang the rest of the lyrics, accompanied also by a great choir. a perfect ending of a great show.